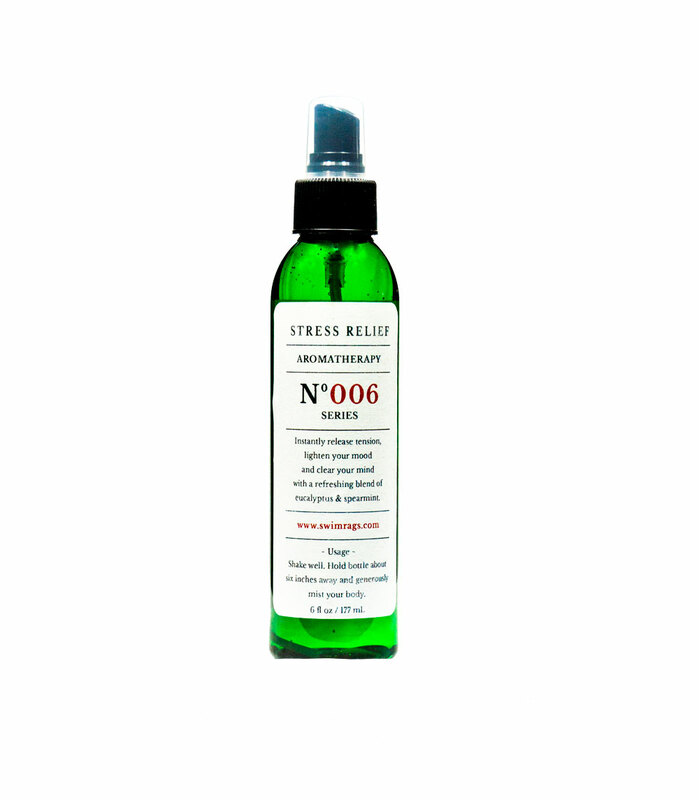 Our specially formulated aromatherapy body spray lifts your spirit and clears your mind. Indulge yourself with an authentic aromatherapy experience, designed to relax you in a way that only mother nature could match. Blended of eucalyptus & spearmint. AROMATHERAPY SERIES No. 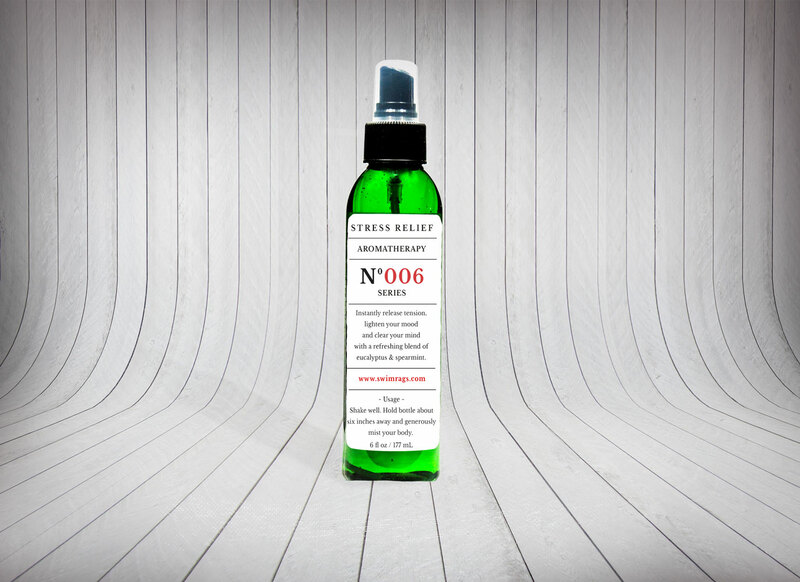 006 – Uses our Salon Quality Aromatherapy ~ Essential Oil Aromas along with with natural soy proteins and infused with a hint of soybean oil. These natural ingredients help to bring back balance, restore energy and soothes our minds. Shop in Confidence – Swim Rags Personal-Care Products are Cruelty-Free! When you’re looking for cosmetics, personal-care products, and much more turn your attention to Swim Rags. Swim Rags is an ethically and environmentally conscious company. Our products are not tested on animals.